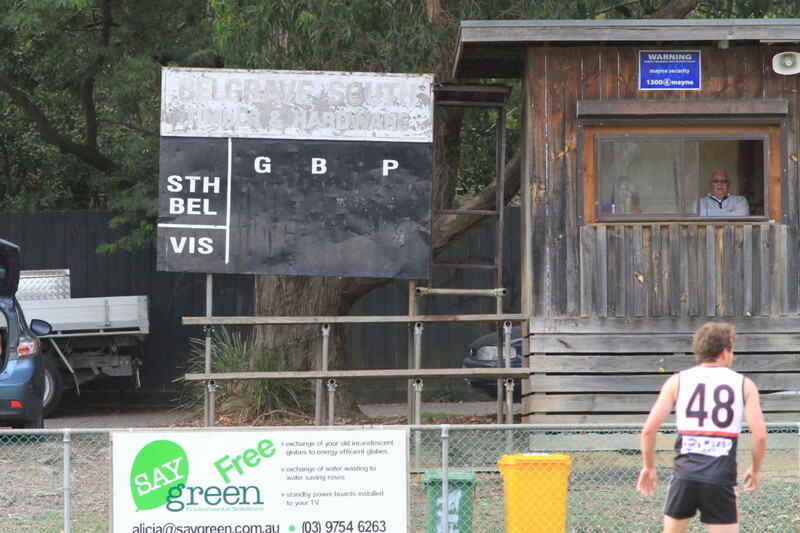 Heading up to Belgrave, a quick stop at Ferntree Gully where the local team was hosting Forest Hill. 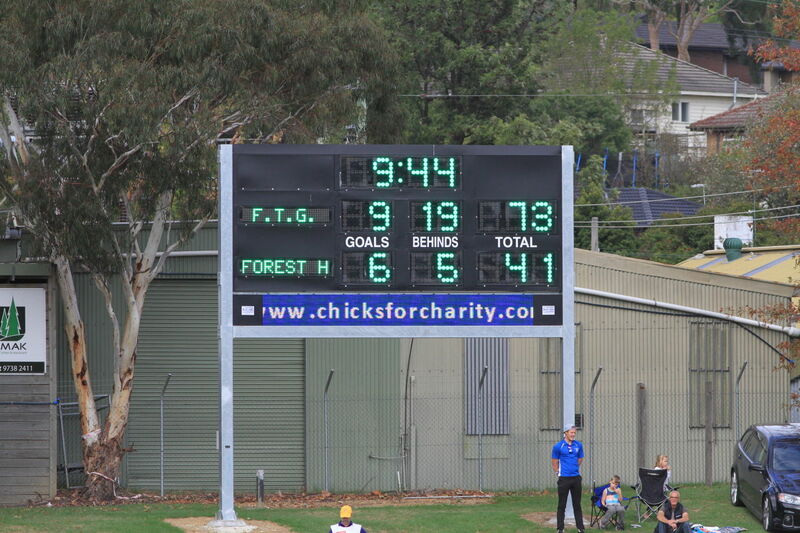 This newish-looking electronic board is mounted nice and high – easy to see, and out of immediate reach of those who might not have its best interests at heart. 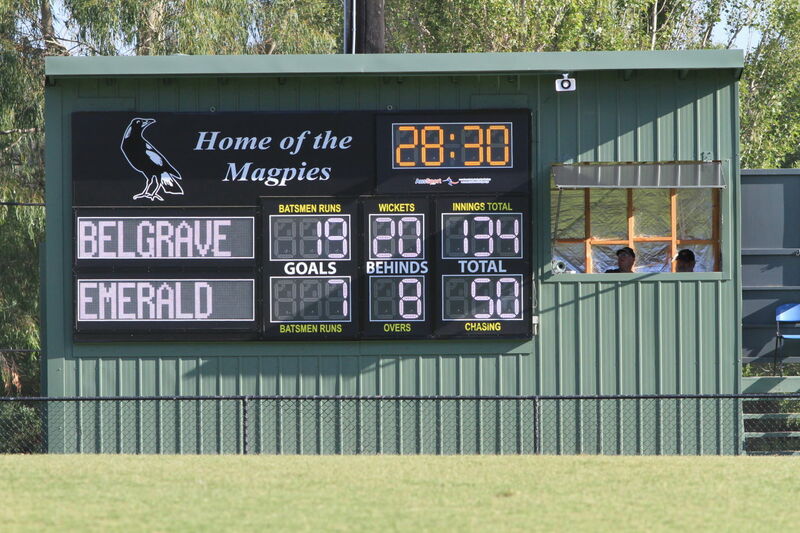 Electronic boards suddenly seem to be replacing the traditional manual scoreboards all over town. 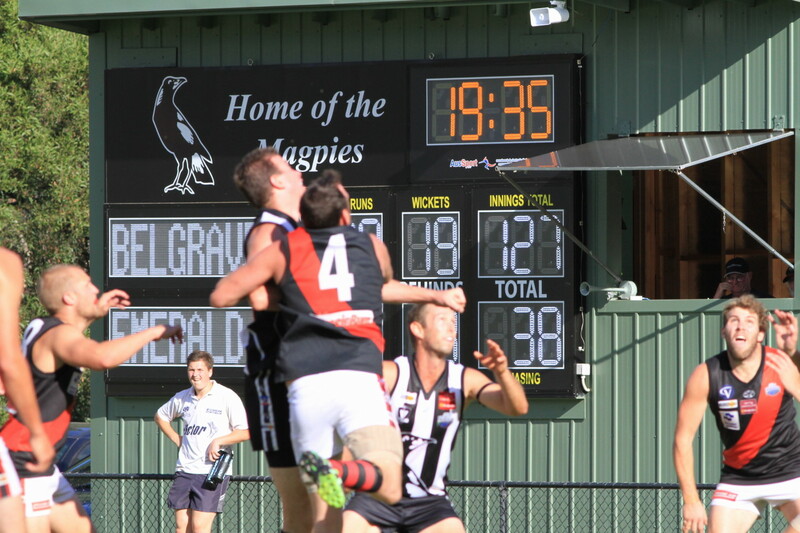 To illustrate that point, South Belgrave has a shiny new scoreboard at its tiny home ground. 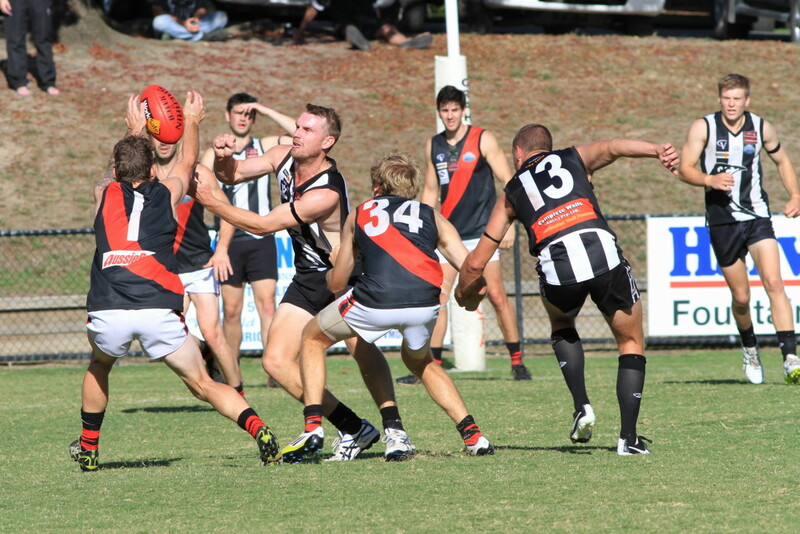 The South Belgrave club is now in Third Division of the Eastern Football League, and seems to have come on in leaps and bounds since its days of struggle at the bottom of the Yarra Valley Mountain District league. 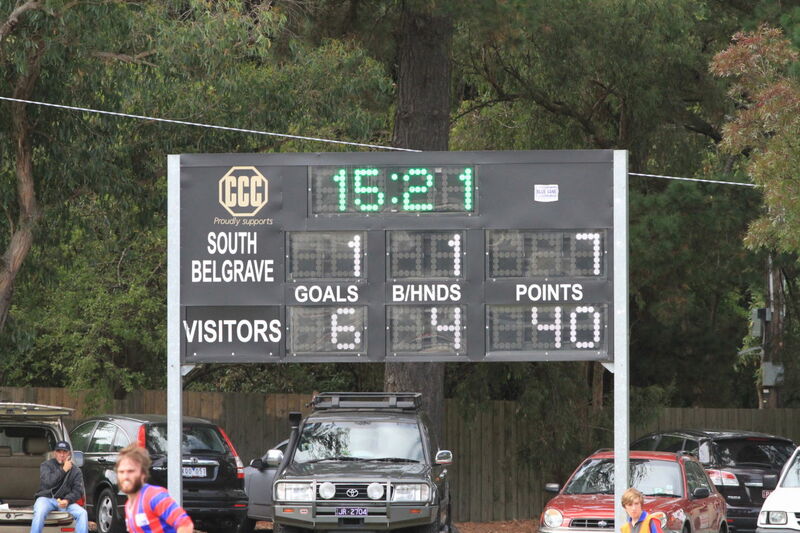 The old South Belgrave scoreboard is still standing, although perhaps not for long. 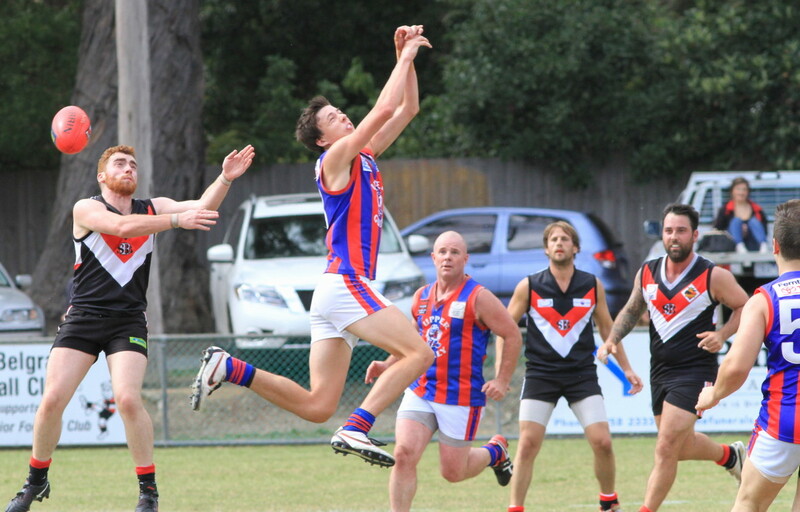 South Belgrave and Upper Ferntree Gully reserves players contest for the ball. 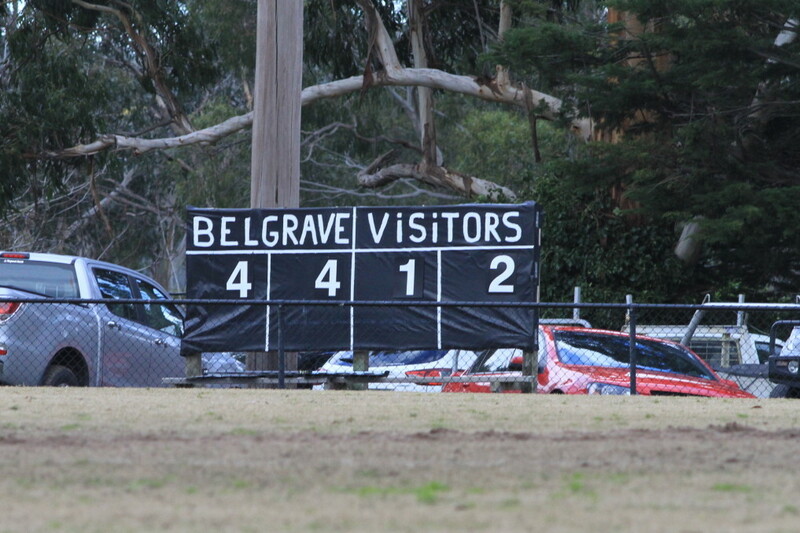 Belgrave, another club that has advanced itself greatly in the last few years, attracted a large crowd to its 2014 season-opener against traditional rival, Emerald.